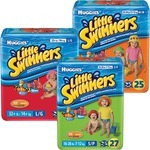 Our son kept waking up soaked so we switched to the nighttime diaper during he night and at first we had no luck and then huggies told us to move him up to the next size up and that will help even though he is nowhere close to that size. It helped a bit but the larger the size the less that come in it. These overnights were working great for a while, but once we got to size 5, the leaks were every morning. My son's crib would be soaked from them leaking. He was only in bed for 7 hours and 1 8oz bottle. 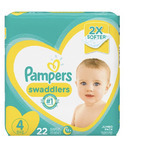 I would tell Mom's yes, they work better than pampers for the smaller sizes (4 and under), but once you hit size 5, don't waste your time & money(they are more expensive than Pampers Brand). I have now switched my son to Pampers Extra Protection Night Diapers and they are fantastic and hold amazing. No leaks. I bought my Pampers diapers with the pre-paid mastercard Huggies sent me to replace all the diapers because they were ALL leaking. But to not knock Huggies down completely, I have bought a pack of Huggies Pull-Ups Night Time Diapers and they are holding amazing - no leaks either.